This java applet refreshes continuously a image that can be upgraded at any time, this allows you to see in your browser the last version of the image, in the figure 1 you can see an example. Save the downloaded files in the same folder in your computer. Remember that the FTP connection is done from the browser side and it uses FTP passive mode, these means that the network configuration have to allow TCP connections from browser’s PC to FTP server. Set the security level of java to medium (see instructions). 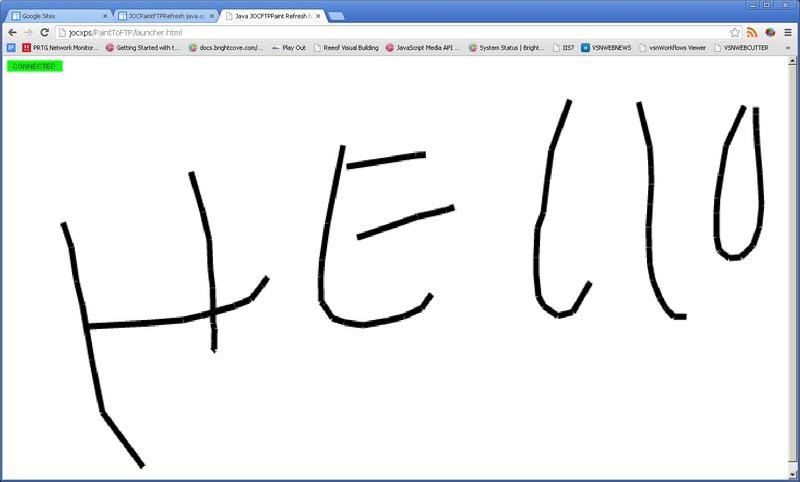 This allows your browser to start local java applets.